Indulge in a relaxing, zen-like Mahjong experience! For over six years, millions of people across the world have enjoyed the original Mahjong Epic. 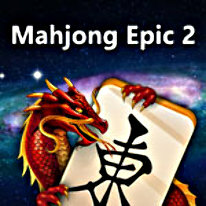 With relaxing, zen-like gameplay, simple controls, 360 different boards and 7 unique tile sets, Mahjong Epic 2, the new and improved sequel, truly takes the game to stratospheric new heights!